18V ONE+™ 2 Gal. Chemical Sprayer is rated 4.8 out of 5 by 68. Rated 5 out of 5 by Whipper from Easy to use and very handy Works very well - 2 gallons is about right for weight to carry around. Sure a lot better than the old stop and hand pump type of sprayers. Best thing is the Wife can use it around the garden. I'm happy and she's happy. Rated 4 out of 5 by loveryobigreen from Smartly engineered and makes spraying much easier! Finally, I can just keep spraying 2 gallons with constant output rate. That makes for more uniform coverage. I love not having to pressurize the sprayer every few ounces. I like just about everything else about this sprayer. One thing though made me give it 4 stars, not 5. 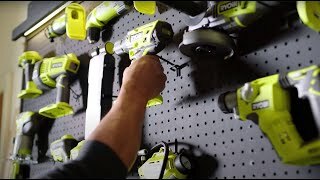 Attaching and removing a Ryobi brand battery (with its spring-loaded side clips) is a lot harder than it is on other Ryobi tools. And this applies to several Ryobi batteries. So it's the sprayer head being a bit out of spec. Nevertheless, I'm keeping the sprayer because it is a gem. It's now actually fun to spray to spray a yard full of roses. Rated 5 out of 5 by gspaff from This is a great sprayer I needed to apply a lot of insecticide and using a pump sprayer was going to make that work a real bear. A friend recommended this sprayer and it is great! I have used it to apply 16 gallons of spray so far. Not only does it do the job very well but it also comes with the battery and a charger. I use a lot of different Ryobi 18v cordless tools so this was a nice perk. Note, I apply 8 gallons at a time and the battery held up just fine. I'm very happy with the purchase - by the way, it comes with spare seals and if you register, Ryobi says you can get free seals for life. Rated 4 out of 5 by cranburybob from Excellent Performance, but needed adjustment Upon opening the box, and after following all directions in manual, I turned it on, the motor started, but it did not spray. After further checking, to make sure all fittings were tight, etc, I tried again - still did not spray! 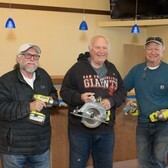 called 800# and CSR, with a less than helpful attitude, suggested I return to Home Depot and they would tell me where the nearest repair center was; that was neither helpful nor a solution to me! However, I tried one last time, and did the one thing I hadn't done yet - removed the filter cap at the bottom of the suction hose in the tank, and blew compressed air through it. The unit started right away, and and performed in an EXCELLENT manner for the next three hours. The loss of start is for the machine not working straight away and poor performance from CSR. Rated 4 out of 5 by Handy Me from Don't Dread I have used this 2 gallon sprayer for the first time and it will be a pleasure to use again. The only reason I give it a 4 star is because it don't keep a steady spray if you don't let off for a bit for it to catch up. But after a bit of using it I found it will work if I use it like a paint gun. I am pleased with it. Rated 5 out of 5 by SouthernMan from Ryobi does it again! I was looking for a sprayer for brush killer products and insecticides. 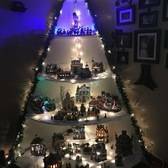 I saw this on the Home Depot website. I have fallen in love with my other Ryobi power tools, so I had to have this! 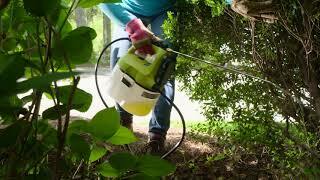 The 2 gallon capacity is a convenient size, not too many fill-ups per spraying session, and not too heavy to carry. The convenience of battery power as opposed to pumping up the pressure every few minutes is great! I already have batteries and the 30 minute charger, so getting the job done in a short time period is as simple as changing a battery! 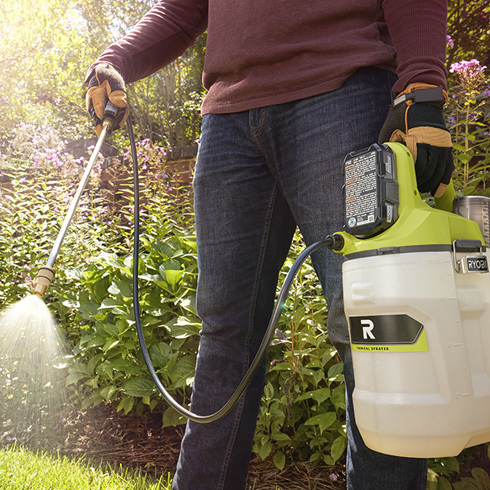 For the perfect union of convenience and versatility, the RYOBI ONE 2 Gallon Chemical Sprayer sprays up to 30 gallons per charge with no pumping required. Featuring an adjustable spray nozzle, detachable 2 gallon tank, and cap that doubles as a measuring cup, this product is completely efficient from prep to clean up. For additional convenience and the tool comes with a 2.0 Ah Lithium-Ion Battery and is backed by a 3-Year Warranty.